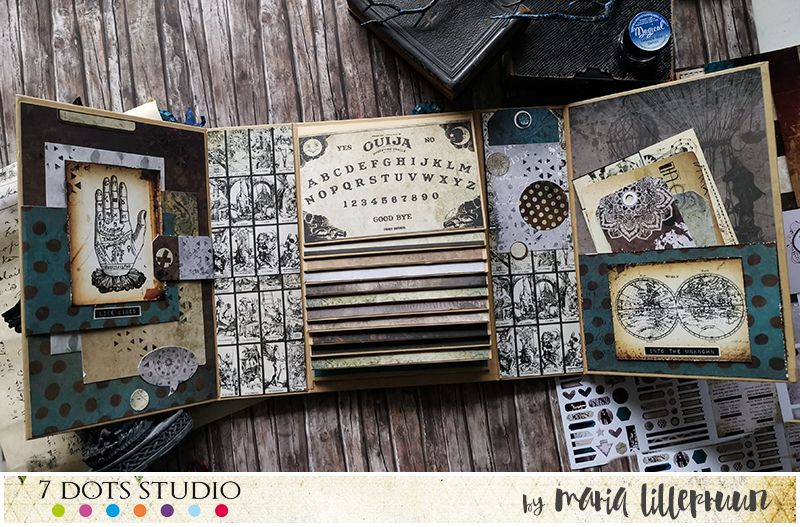 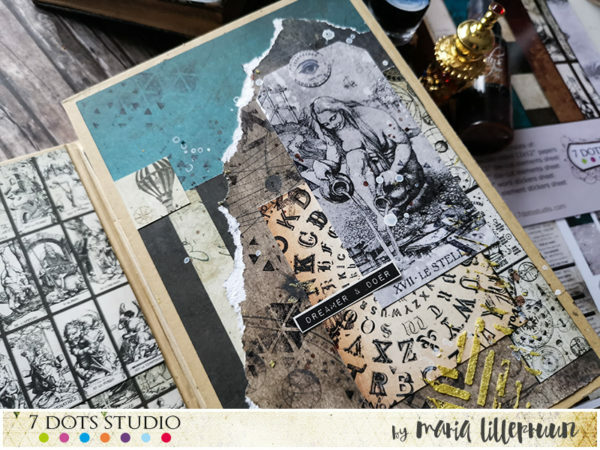 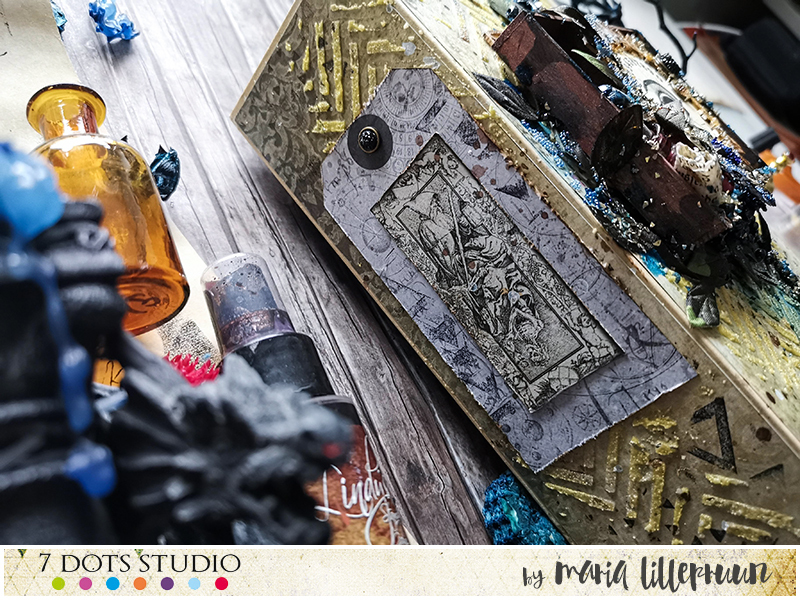 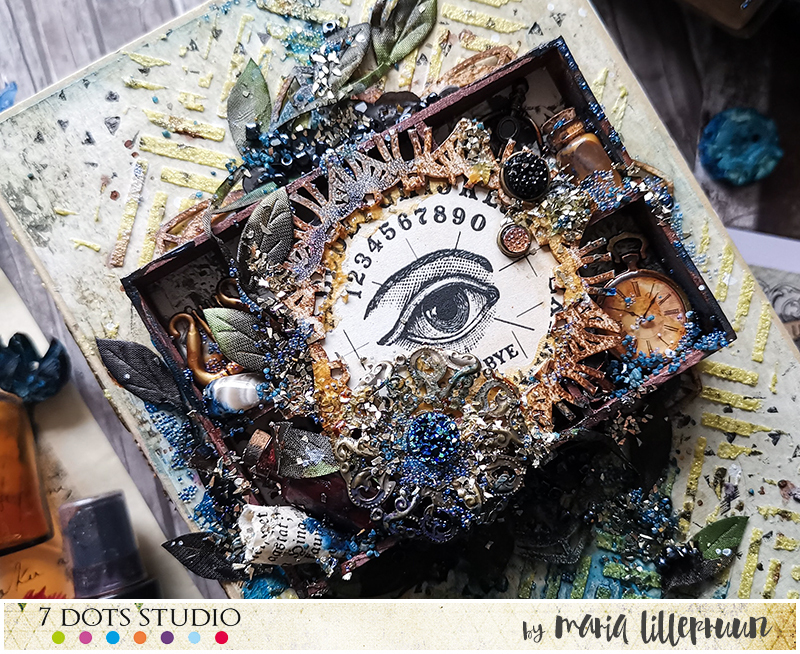 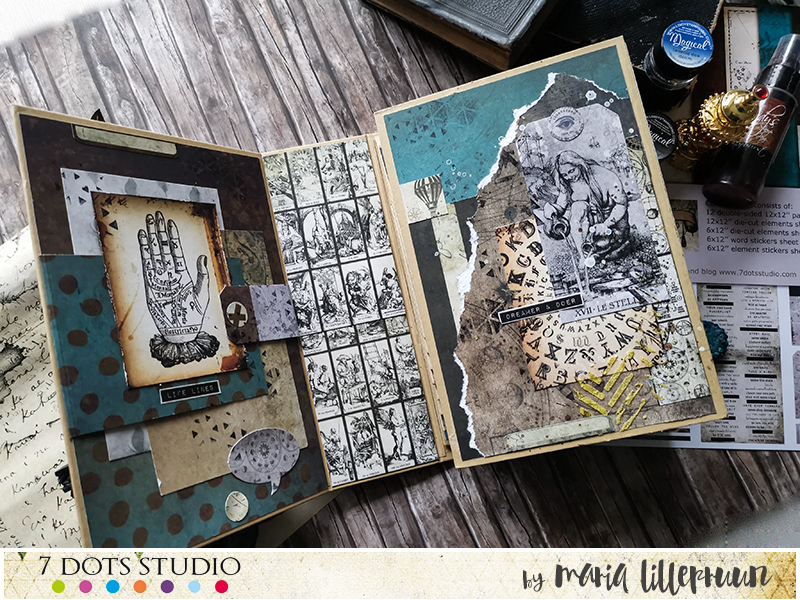 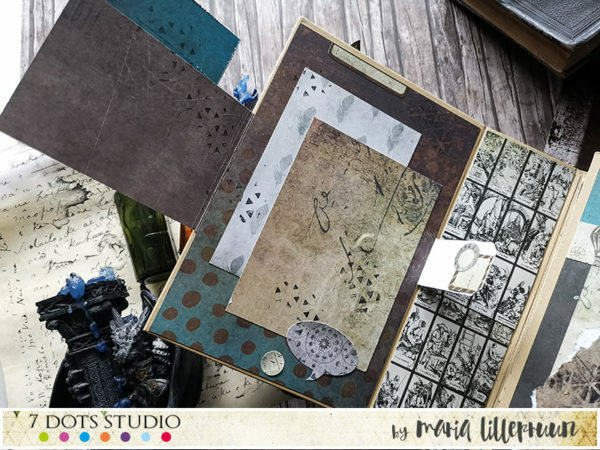 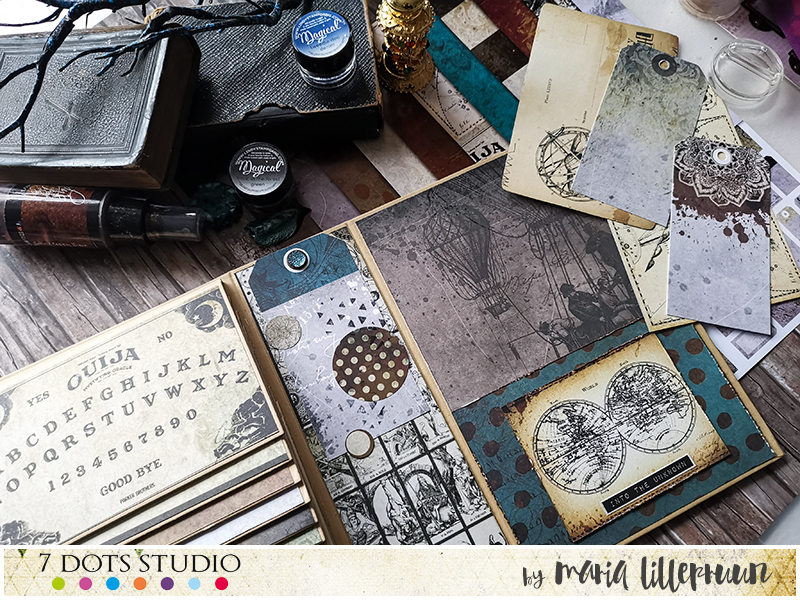 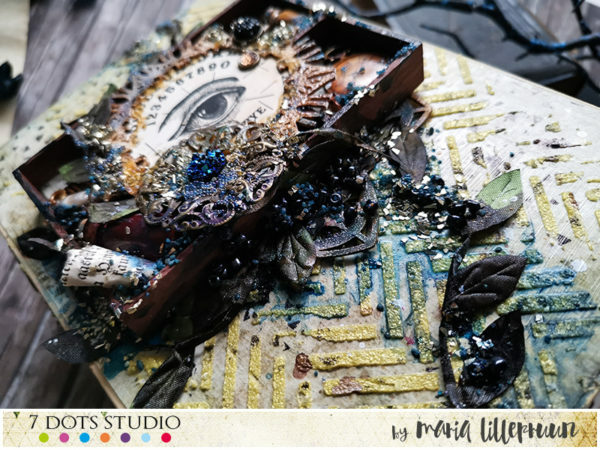 I made a mystical photo album, using a pre-made photo dossier by Prima and my favourite collection “Fortune-teller”. 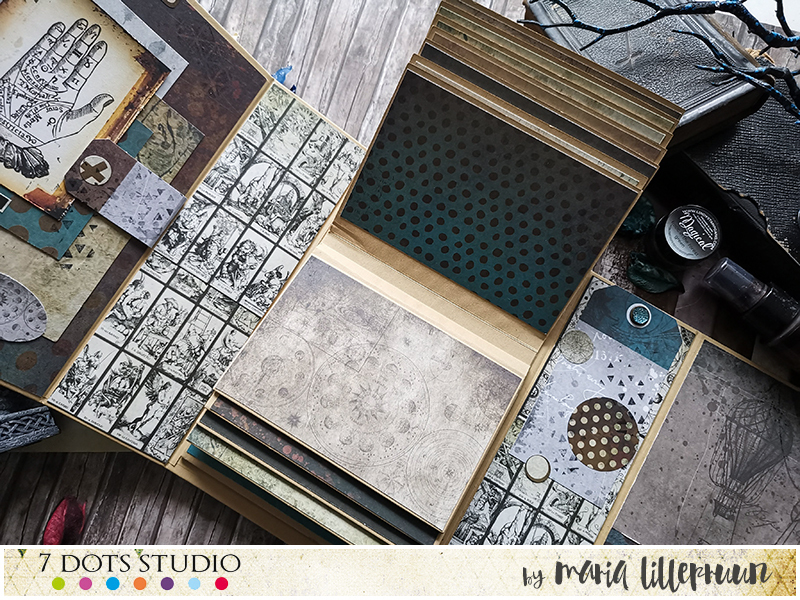 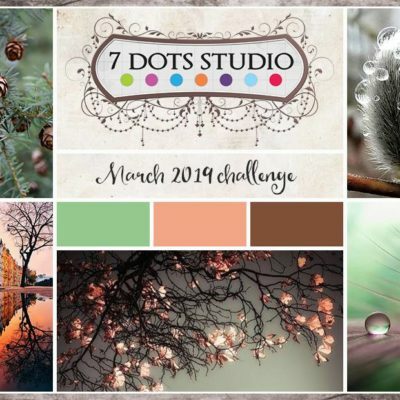 I absolutely love it´s mysterious designs and brown-blue colour scheme. 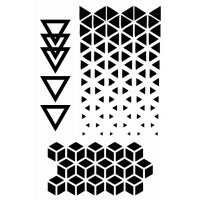 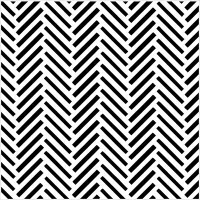 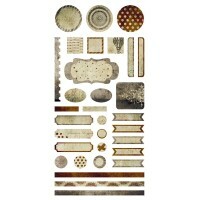 The collection is full of symbols, and every crafter can find something relevant for himself in it. 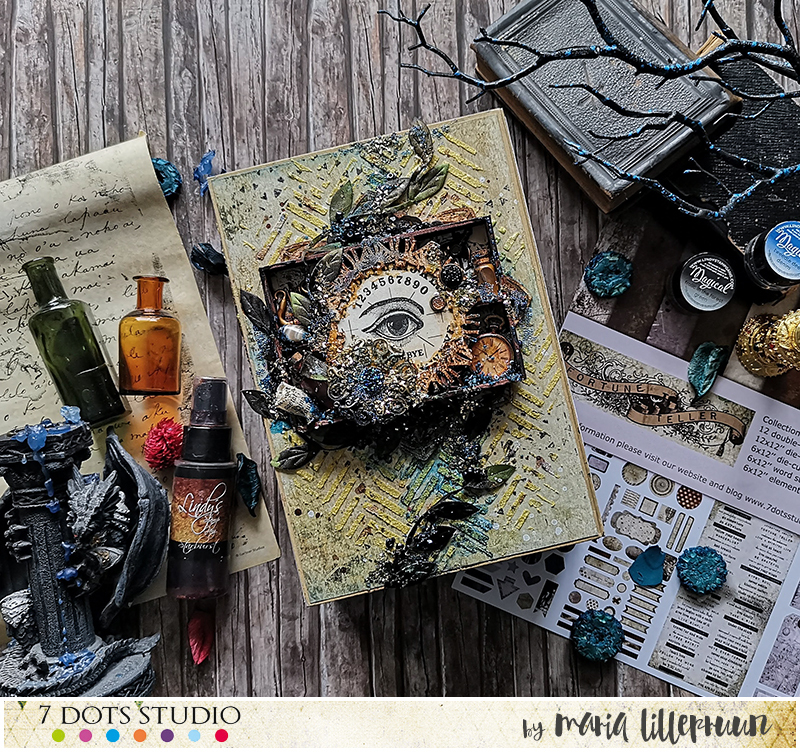 My photo album is decorated with a little shadow box on the cover, which I filled with various embellishments referring to the alchemy science. All of the embellishments are brand new, but using some mixed media techniques it is possible to blend them all together into one harmonic picture. 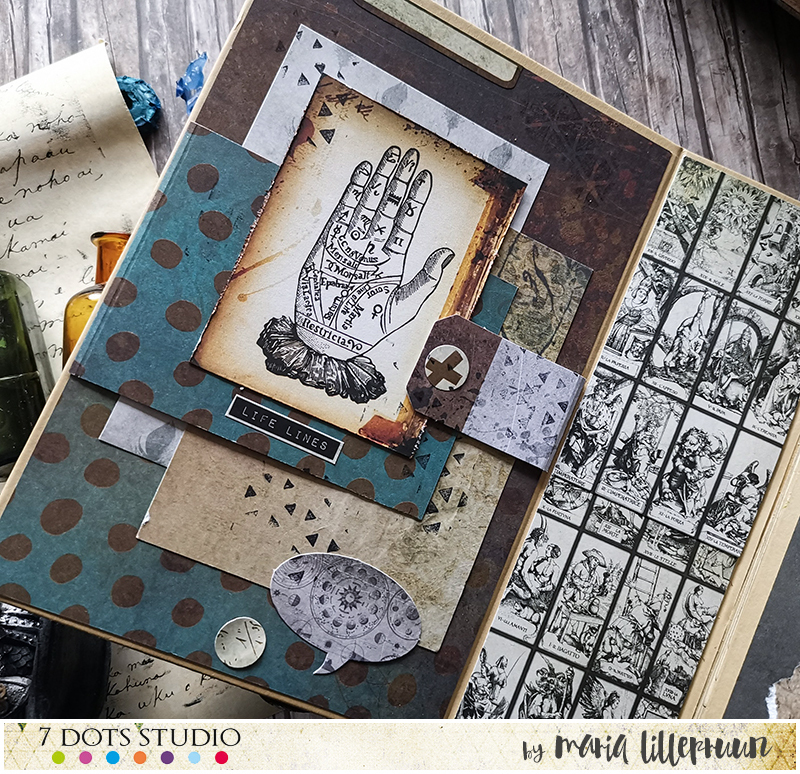 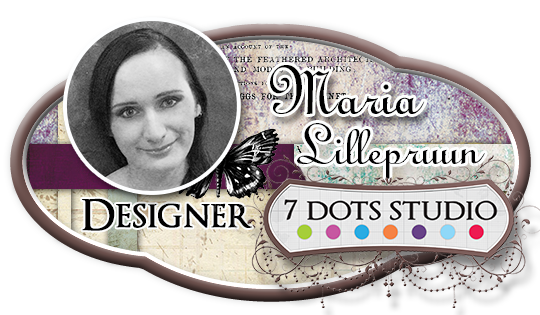 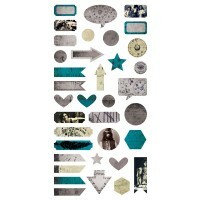 7 Dots Studio stencil and clear stamps played their role in creating this magical album as well.